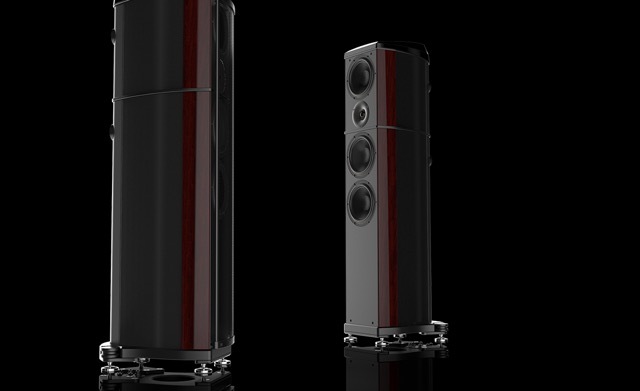 Wilson Benesch, the leading British high performance loudspeaker design and manufacturer, is delighted to announce the latest addition to its award winning Geometry Series – the A.C.T. One Evolution. Each A.C.T. One Evolution is fitted with three Wilson Benesch Tactic II drive units and a Wilson Benesch Hybrid Dome Technology Semisphere Tweeter. Every element of the drive technologies and the cabinet in the A.C.T. 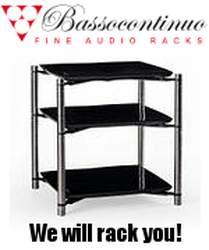 One Evolution has been designed and developed using Wilson Benesch’s State-of-the-Art 3D Dassault CAD/CAM systems. The degree of control over the design of every component, allows ground up optimisation of the A.C.T. One Evolution and has led to the development of unique drive unit topology and cabinet construction. In the midrange, Wilson Benesch introduces technology taken directly from the flagship Cardinal loudspeaker. A two part cabinet construction sees a single 7” upper midrange Tactic II drive unit and Semisphere Tweeter operate in a volume-optimised enclosure, allowing acoustical roll off of the drive unit. Directly below the Semisphere Tweeter in the main enclosure, a 7” lower midrange Tactic II drive unit resides - placing the Semisphere at the heart of the midrange design in a formation known as the Troika System. The reduction in complex crossover elements translates directly into a highly articulate and natural midrange sound and marks a significant advance in the performance of the midrange to Wilson Benesch. At the centre of the Troika System is the Hybrid Dome Technology Semisphere Tweeter - a highly engineered solution for high frequency sound reproduction. As the pioneers of carbon fibre composite technology, Wilson Benesch drew upon more than two-decades of knowledge and expertise to create a hybrid diaphragm for the Semisphere consisting of carbon fibre and silk. The hybrid dome is a direct departure from hard dome technologies now used as standard across the industry for wide bandwidth tweeter design. The natural sound produced by the Semisphere dovetails directly into the open sound of the midrange to create a highly integrated system, with stunning soundstaging and detail. Despite references to a classic design before it, when distilled the design philosophy of the A.C.T. One Evolution is a clear descendant of other Geometry Series designs before it. Aesthetic cues can be observed in the foot design, where hand wheels and the partnering kinematic cups sit either side of the distinctive curves that form the A.C.T. One Evolution foot. Like the Cardinal and the Endeavour, the terminal is recessed underside of the foot; whilst upfront the baffle features the subtle machine finishing as seen in the Vertex and Vector loudspeakers. But the Geometric cues are more than skin deep and at the heart of the A.C.T. One Evolution are technologies that set the loudspeaker apart and create a new Wilson Benesch loudspeaker of stunning pedigree.